It is an honour to welcome Laura Purcell to the salon today. 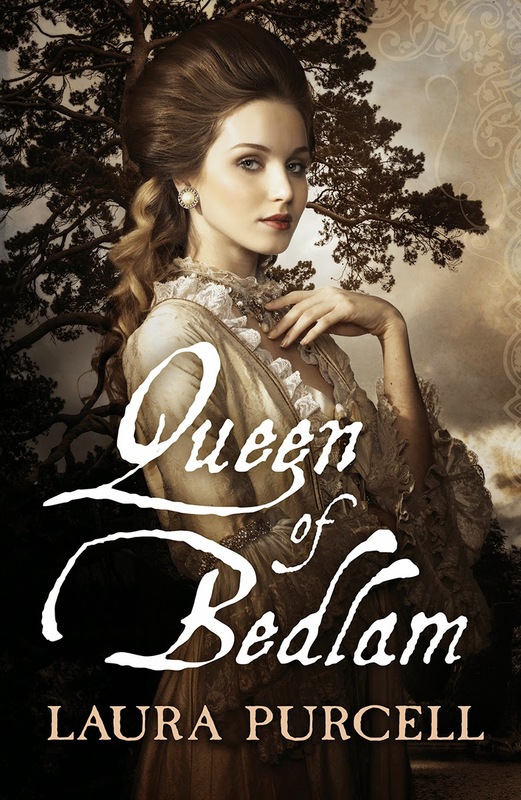 Laura, author of the marvellous Queen of Bedlam, is here to share the tale of Princess Sophie Charlotte of Mecklenburg-Strelitz, a lady on whom she is well qualified to talk. Princess Sophie Charlotte of Mecklenburg-Strelitz was born 19 May 1744, although with the introduction of the new style calendar in 1752, her birthday changed to 16 May. Her father was Charles Lewis of Mecklenburg Strelitz and her mother Elisabeth Albertina of Saxe-Hildburghhausen. The youngest of six surviving children, Charlotte had four brothers: Adolphus Frederick, Charles, Ernest and George. Of all these, she was to grow particularly close to Charles, corresponding frequently with him until his death in 1816. Charlotte’s only sister, Christiane, was the eldest child and nine years her senior. Poignantly, three baby sisters and a brother had been laid in the grave before Charlotte appeared. At the time of Charlotte’s birth, her father Charles Lewis was nephew to the reigning duke and seemed unlikely to succeed to the dukedom. He and his wife lived at Mirow, not in the moated schloss but a small palace nearby. When Frederick the Great of Russia visited, he mistook Charlotte’s home for a parsonage. However, it must be said it was partly Frederick’s fault that the Duchy of Mecklenburg-Strelitz did not thrive: his armies were constantly marching through, pillaging. Since part of the town had been burnt down in 1730, Mirow retained an air of sleepy, decayed grandeur. The castle had a ruined tower serving as a gatehouse, with “an old stocking-knitter disguised as a Grenadier” guarding the drawbridge. Charlotte and her sister were raised much in the manner of English gentlewomen, learning botany, music and needlework. Their religious education was particularly thorough. Both were raised as Lutherans and invested as Canonesses of the Hereford convent in Westphalia. Charlotte’s father passed away when she was eight years old. His was one of a series of three deaths that left Charlotte’s brother Adolphus to succeed the dukedom in 1752, aged twenty-three. But this was not the only sudden elevation in store for the family. 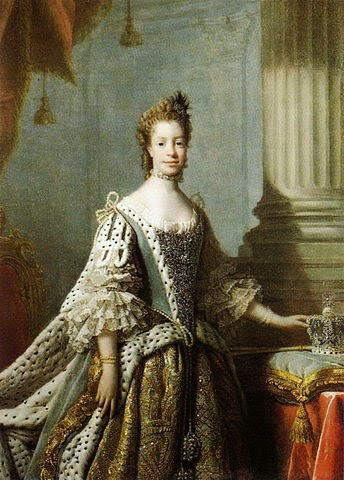 Eight years letter, George III of England began to consider Charlotte as a potential bride. George’s choices were limited to German, Protestant princesses. Moreover, his mother didn’t want anyone too clever or too beautiful, lest they loosen her hold over her son. Many girls were dismissed over hearsay. Ironically, considering George’s future illness, the Princess of Hesse-Darmstadt was rejected because she was rumoured to be mentally unstable. Charlotte’s future prospects were both daunting and exciting, but her wedding plans received a sudden check when her mother Elisabeth died on 29 June. The weather was so hot that her body had to be kept under sand. One can only imagine how distraught Charlotte was, especially as her mother’s last words were wishes for her happiness. Charlotte’s journey to England got off to a rocky start: her ship was caught in a storm. While the gales, squalls, thunder and hale left her ladies out of order, Charlotte tried her best to appear cheerful and continued to play her harpsichord. There was no rest even once she landed on English soil. Hurriedly dressed in English fashions, she was forced to receive deputations at Harwich, Colchester and Witham. The air of hurry continued all the way to London. Meeting the Life Guards at Mile End, Charlotte was paraded through the streets to wave at her new subjects. She asked if they might slow the pace so that the people could get a good look at her, but she was told there could be no delay. Her wedding was due to take place at midnight that very evening. Upon hearing this, Charlotte passed out and had to be revived with lavender water. Soon after, the carriage arrived at the garden gate of St. James’s Palace. With her lower lip trembling, Charlotte was handed down the steps by George’s brother, the Duke of York. As she descended, the crowds got a good look at her dress: an elegant white and silver “negligee” trimmed with thin gold lace. 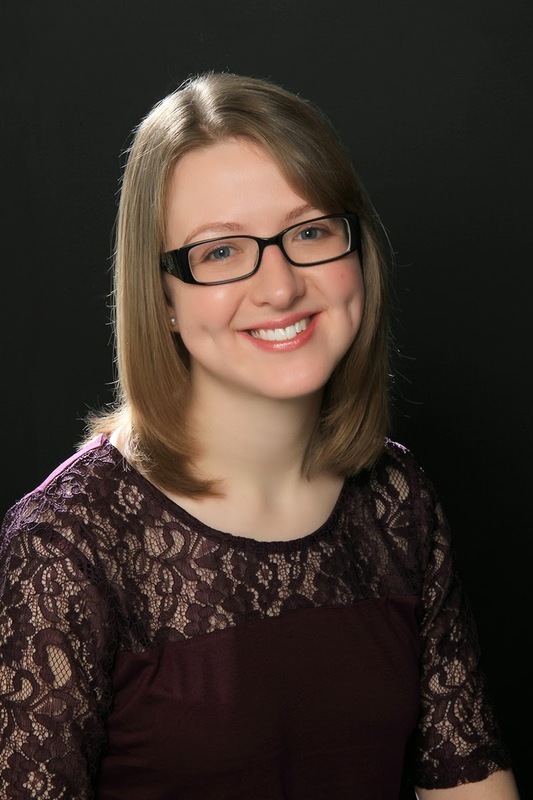 No sooner did Charlotte see her future husband than she “threw herself at his feet”. The King “raised her up, embraced her and led her through the garden up the steps into the palace”. A long and eventful marriage lay before the royal pair, but I’m not going to tell you about it here. If you want to find out more, please read my book! Written content of this post copyright © Laura Purcell, 2014. You can find out more about Charlotte's bittersweet life in Life in the Georgian Court, now available to order worldwide! Wow! Full of juicy tidbits! Have never read anything even remotely like "an old stocking-knitter disguised as a grenadier!" Yes, I want to learn more, and am panting to read this book. I am so fascinated by the sorry circumstances that befell so many high-born ladies. This book sounds like it will deliver. I recommend it, you won't be disappointed! Hmmmm, like Mirow, I think I retain an air of sleepy, decayed grandeur.